A stunning theme for your favorite browser. If you install this theme for your browser, it will change the user interface of your browser to a dark Turn Off the Lights style. A dark browser theme for your web browser. It's simple and coherent. It's one beautiful dark theme (dark skin) for your web browser. It's simple and coherent that with the Turn Off the Lights Browser extension style. Learn more about the design and quality of the best Dark Theme for Google Chrome, and Dark Theme for Firefox. The black theme for your web browser that protect your eyes late at night. The complete dark theme for web browser protect your eyes late at night. As well it can help you with eyestrain (a tiredness of the eyes caused by prolonged close work by a person with an uncorrected vision problem), make text easier to read, and they are stylish too. 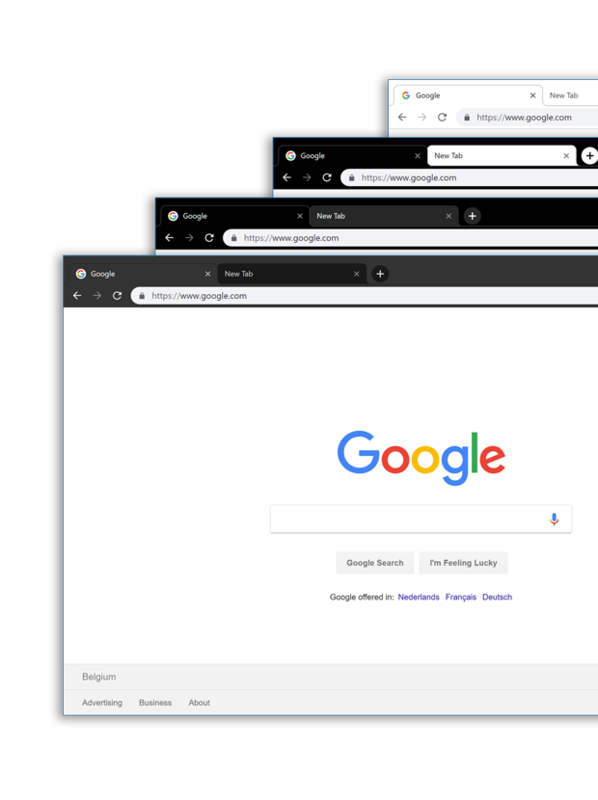 Learn more about the design and quality of the full Complete Black Theme for Google Chrome, and Complete Black Theme for Firefox. The black and white theme for your web browser that simple, clean, beautiful black and doesn't hurt your eyes. It is a abstract of the two solid colors, black and white. Where the black handle the tabs, and the white the navigation bar for the inactive tabs. The browser theme is coherent as a white paper on a black letter type. The exquisite Black and White is simple and make text easier to read. Learn more about the design and quality of the delighted Black and White Theme for Google Chrome, and Black and White Theme for Firefox. A light browser theme for your web browser. It's simple and coherent. A light black and white browser theme for your web browser. It's simple and coherent with the Turn Off the Lights Browser extension. Learn more about the design and quality of the simple Light Theme for Google Chrome, and Light Theme for Firefox. Get a red theme for your web browser. And show you valentines day heart in the center of your new tab. Get the red Valentine's Day theme for in your web browser. This is inspired by the Turn Off the Lights Browser extension. Learn more about the design and quality of this love Valentine's Day Theme for Google Chrome, and Valentine's Day Theme for Firefox.